Christina, Paris, Shiann – Edited photos and made collages. Cooper and Dustin – Made sports polls and sent them to fellow students to answer. Joey and Brian – Made an airplane out of cardboard. Jason and Cesar – Built boats out of cardboard. 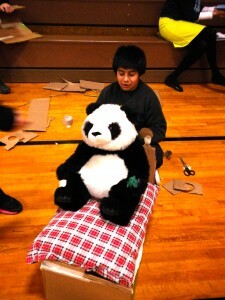 Cesar’s boat turned into a bed for our classroom Panda. Jason wrote a blog post here. 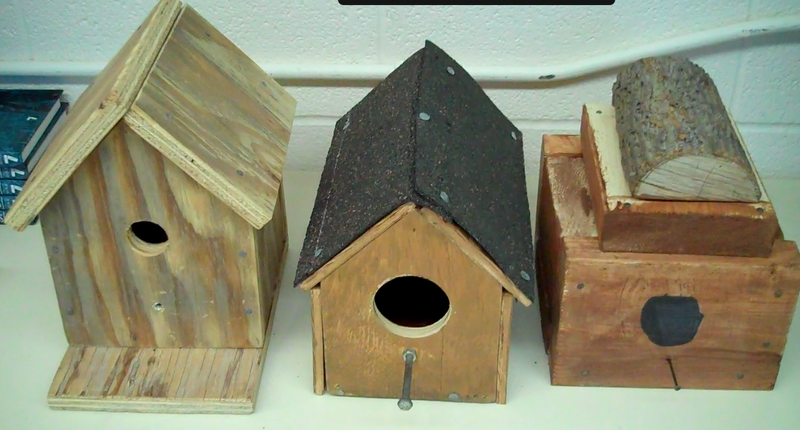 Justin and Chandler / Jason and Paul / Tyler and Andrew – Each partnership built a birdhouse and made a how-to video. Becca wanted to practice making movies, so she took video of Genius Hour using the iPad, emailed the files to herself and edited this movie on iMovie. Jaci, Krayton, and Meghan used their acting talents to make a funny and educational video about Christmas trees. Lauren and Paige learned new friendship bracelet patterns. Seventh grader Anna started a novel and signed up for NaNoWriMo, a late start, but she is poised for a win by November 30. Anna and Kaylee made a basketball presentation. 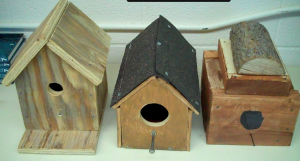 Jade learned to use Edublogs by making a post and adding photos with captions. Her first post is a photo guessing game. Lucas and Thomas – Made a car out of Legos. Deven and Jared – Used the program Scratch for the first time and made this cool animation all in one hour. Madison decorated a towel with an inspirational saying. Atze was in California for Genius Hour, but he figured out how to use Edublogs and wrote his first post here. Really cool projects. I just love the idea. Can’t wait to see what else your students decide to take on. Impressive stuff. Thanks for visiting the students’ projects. We had fun creating them and sharing with the world. Very inspiring post! This is something I am going to share with my students before our genius hour! I am very excited to have this as a regular part of our classroom! 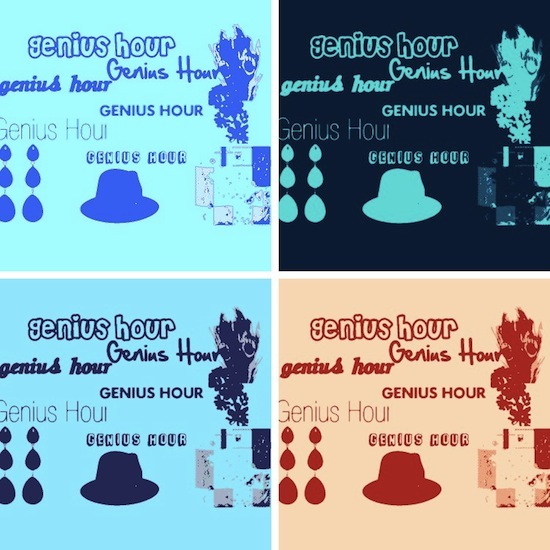 I will be excited to read about your #geniushour. 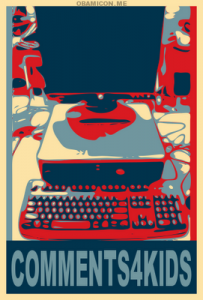 Like you, I am excited to have it on a regular basis at our school. I can’t wait to see what students keep learning and creating when given time to do it. Thanks for spreading the possibility of #geniushour.